This week when using the Panera Bread app, you can get a $2 discount off your next order, but you must either use their app or website, pay with Apple Pay and then you should receive the $2 off discount. One thing to know about this promotion is that you must make a purchase of $10 or more in order to get the discount on your order. On top of that, you must be a MyPanera member in order to be a part of this promotion. The good thing about this though is that it is free to be a MyPanera member. This offer will work between now and December 5, 2018. Additionally, Apple is also promoting the use of the Wallet app during the holiday season because it is a great way to not only have your credit and debit cards, but you can also put airplane tickets in it, as well as other tickets, passes and other types of cards and memberships. 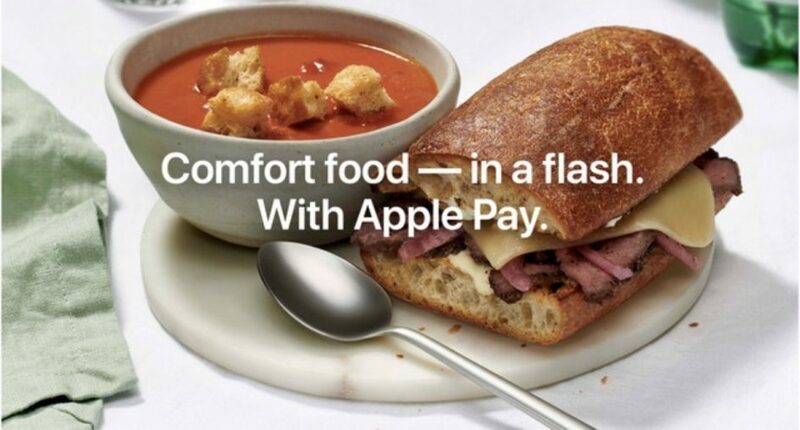 *Receive $2 off a future order when you place an order of $10 or more, exclusive of taxes and delivery fees, online or in the Panera Bread iOS app using Apple Pay. Offer available from November 29, 2018, through December 5, 2018. Must be a MyPanera member to receive reward. One reward per customer. Reward redeemable at participating U.S. bakery-cafes, online, or in the Panera Bread app. Reward valid for 14 days from date of purchase. Not valid with any other offer or coupons. Void if modified, copied, reproduced, transferred, purchased, traded, or sold. Applicable taxes paid by bearer. Offer may expire without notice due to error, fraud, or other unforeseen circumstances. Please allow 48 hours to review the reward in your MyPanera account. Other restrictions may apply. For complete terms, visit the Panera Bread website. Panera, Panera Bread, and the Mother Bread logo are the IP of Panera Bread and are used with permission.